1. Investment casting isn't a new metalworking process. In fact, this metalworking technique is more than 5000 years old and was allegedly used by the ancient Egyptians, the Han Dynasty in China, the Aztecs in Mexico, and the Benin civilization in Africa. 2. A countless amount of different types of metals can be used to create this reliable metal part. Some of these materials include carbon, stainless steel, alloy steels, haynes, incoloy, inconel, rene, aluminum, stainless steel, stellite, super alloys, carbon steels, titanium, nickel, zirconium, and more. 3. Investment castings possess a wide-range of benefits such as freedom of design, tight tolerances, flexible size ranges, remarkable surface finishes, affordable tooling, and great reliability, just to name a few. 4. 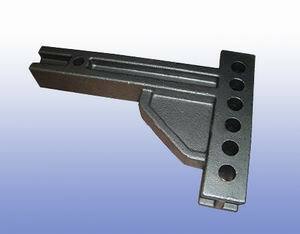 Some existing parts can be converted into investment cast parts. This is done both to reduce costs and to create consistently high quality, repeatable parts. 5. The entire investment casting process is not over until a final inspection is carried out to ensure that the part is identical to the initial design and that there is no weaknesses or damage. We have complete quality inspection devices for Mechanical Testing, Chemical Analysis, and Non-destructive Inspection, including tensile strength, hardness, metallographic inspection, spectrometer, ultrasonic testing (UT), etc. Our foundry has ISO 9001 & TS 16949 quality certificates, and we can issue quality inspection reports for all castings. Quality Control is always our most important work. Borui Casting International Ltd. All rights reserved.